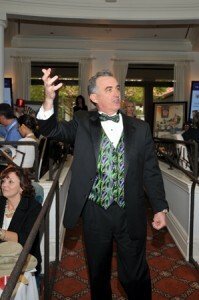 Let me start by saying I have the highest regard for all auctioneers – no matter what discipline they may represent. I recall my childhood days attending farm auctions in Kentucky with my father. And I look fondly back at attending antique auctions with my mother. It’s this early contact with these fine auctioneers which lead me eventually to my career. But, there is a big difference from a professional benefit auctioneer and today’s farm or antique auctioneer. Or cattle auctioneer. Or automobile auctioneer. Those auctioneers are selling a specific product, whether it be a tractor, an old lamp, a prized bull or a 1964 Mustang. 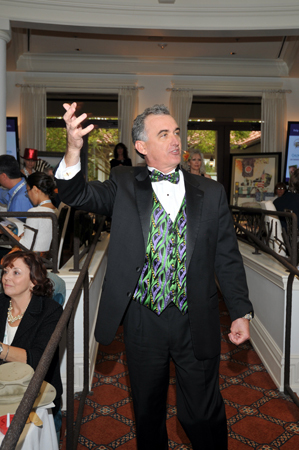 A professional benefit auctioneer sells himself – and by making that connection with the audience – is able to transform that connection into increased revenue for the charity and its causes. So, why is this battle-of-the-auctioneers a problem now? That question can be answered in one word: Internet. More general auctions are being conducted on the Internet, via various websites, so the need for a general auctioneer practitioner is on the decline. And since more fundraisers are being scheduled every year – some auctioneers who once stood among cattle are now knocking on benefit chairmen’s doors wanting to be herd. I mean heard. Through my network of national contacts I’ve listened to some very interesting stories told from benefit chairs who hired such an auctioneer. The results – well let’s just say financial targets were not reached. The bottom line is: When it comes to selecting a benefit auctioneer – make the right call. Hire a professional that specializes in benefit auctions only. Remember, just because someone can talk fast doesn’t mean they are just your speed.